As the housing market continues its rebound, the mortgage lending industry is still a work in proeress after the string of lawsuits, settlements and new legislation put in place to protect consumers after the well-publicized abuses of the past. 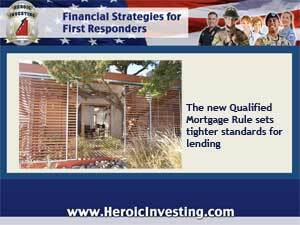 More regulation is coming, too, with the implementation of the Consumer Financial Protection Bureau’s “Qualified Mortgage Rule” in January 2014. The role of major US lenders in the housing collapse and the string of foreclosure abuses that followed have been well publicized. We’ve discussed it in numerous posts here too. Those abuses, among other financial malfeasance, led to the creation of the Dodd-Frank Wall Street Reform Act of 2010, which included numerous provisions designed to protect consumers, to be phased in over the next few years. In line with those provisions, the CFPB’s Qualified Mortgage Rule aims to screen out unqualified borrowers with a set of specific criteria.